Image: Gozo Ninu's Cave, entrance, Anne Oldham. Location: Xaghra, Gozo. In the rear of No 15 January Street (15 Triq Jannar). Open: All year daily 8:30-18. 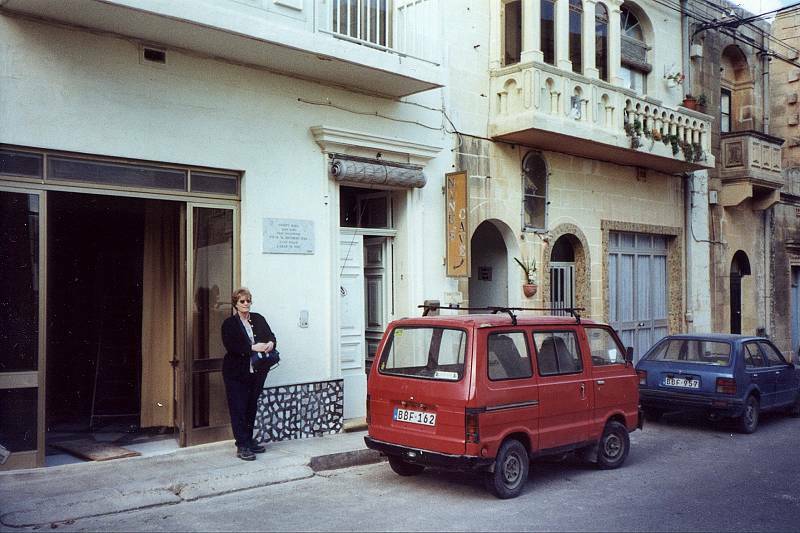 Address: Għar Ninu, 15 Triq Jannar, Xaghra, Gozo, Tel: +356-556863. 1888 discovered by Joseph Rapa. 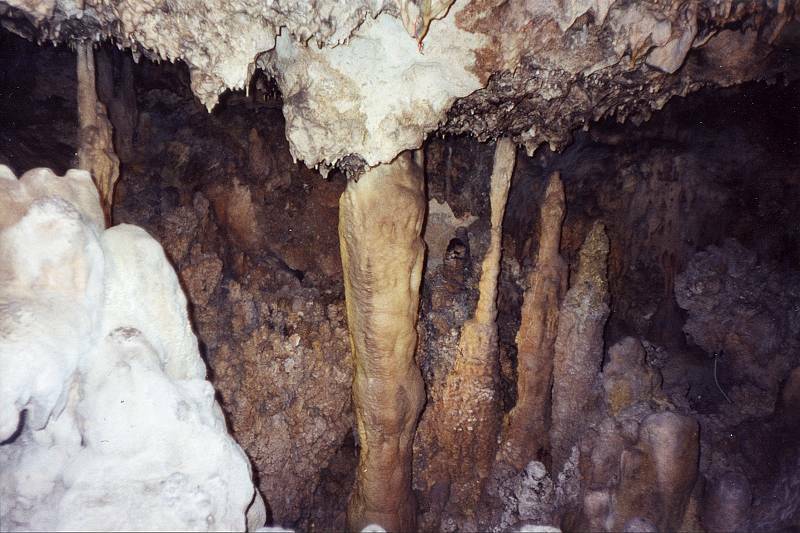 Image: Gozo Ninu's Cave, The Pillar. This cave is located in the rear of No 15 January Street, about 75m north west of the parish church, in the village of Xaghra, 3km north east of Rabat on top of Ta Xaghra hill and well signposted. The granddaughter of the discoverer will answer questions and allow the visitor to take a self guided tour. The cave is illuminated by electric lights. The cave, which is formed in the Upper Coralline Limestone, was originally discovered in 1888 whilst the householder was digging a well for water. It was immediately considered remarkable because of the prolific number of formations. It is entered via a 4 m descent down a flight of steps, which end in a large chamber approximately 20 m by 8m. However, because of the thick stalactite columns which stretch from floor to ceiling, it appears to be a passage with other passages going off. Even today the formations are still magnificent with numerous columns standing side by side like some petrified forest. In the past the cave must have been even more spectacular because there is evidence of numerous straw stalactites, which have now been broken off. There are even a few helictites. The formations are now dry and mainly the same colour as the surrounding rock, although some are semitransparent and it is possible to see the rings formed as they grew. Search Google for "Għar Ninu"